Thirty-one Years of Family Fun and counting!! You are at:Home»Specials & News»Interesting News & Info»Thirty-one Years of Family Fun and counting!! Thirty one Years of Family Fun and counting!! And even though we have delivered well over 31,000 RV’s to happy new owners it never gets old to be able to share in their excitement as each family embraces the RV Adventures that lie ahead. 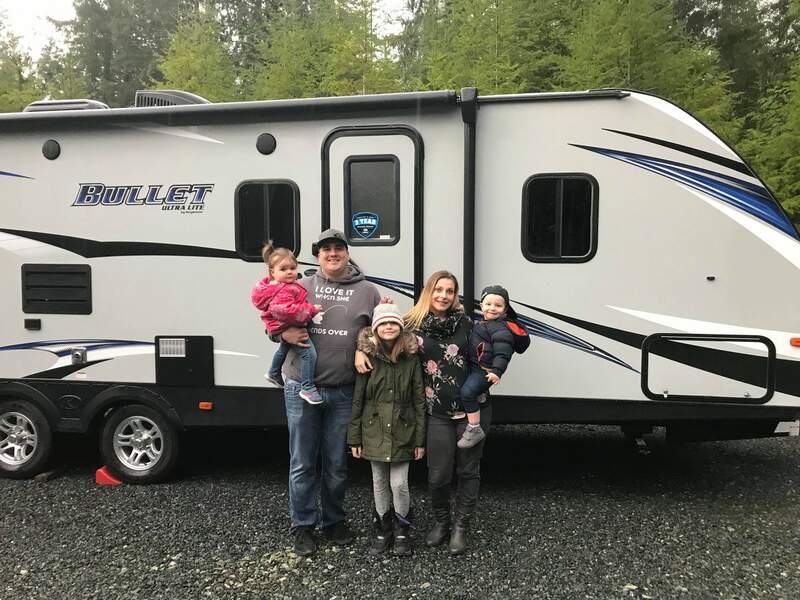 Craig & Rose Little, Owners, Arbutus RV & Marine Sales Ltd.
We love all the stories and pictures of your RV’ing Adventures that you have shared with us over those years. We hear the laughter in your words and see the smiles in the pictures you share. Thank you for continuing to allow us to share in those experiences. That is truly our reward! 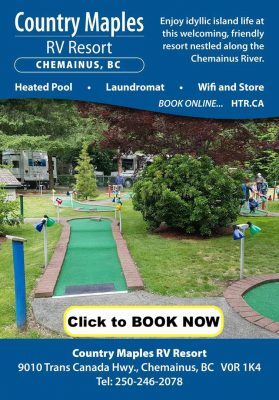 Visit us on-line or better yet stop in for a warm cup of coffee and a friendly relaxing browse through the RV’s at any one of our 5 Island Locations. There is no better way to expand your circle of friends and family than around a campfire! Come Celebrate 30 plus years of Family Fun with your friends at Arbutus RV!! Arbutus RV… on the Road to Adventure!! Drop us a line at info@arbutusrv.ca and tells us about your RV’ing Adventures! We would love to share them on our Facebook page and here, on the Island RV Guide. Remember – Whatever your Adventure…we have an RV for it!! Find yours HERE today. We are going to Sproat Lake provincial park for our maiden voyage because it’s close to town (Port Alberni). We will go to Sunfest, Pachena bay, Horne lake, secluded places around Sproat Lake and Pacific Playgrounds this year: my favourite thing to do is turn off the devices and enjoy my friends and family. Previous ArticleLance Camper “Micro-condo” Series Episode 3 – Joe can’t take a hint.